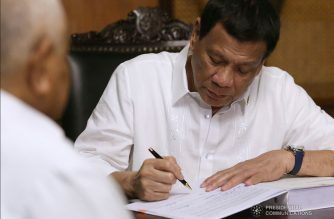 (Eagle News)–A Palace official on Wednesday, April 17, said he foresees no “retaliation” on the part of the House of Representatives for President Rodrigo Duterte’s veto of P95.3 billion worth of items in the national budget. 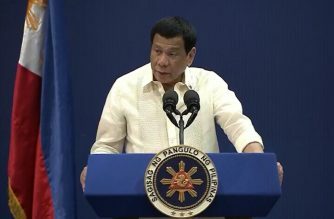 Cabinet Secretary Karlo Nograles issued the statement days after Duterte scrapped the items which included what the Senate said were illegal alignments made by the House after Congress ratified its version of the budget bill. 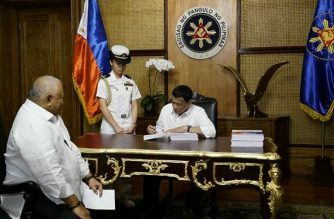 Duterte also subjected to conditional implementation some provisions of the budget law to ensure conformity with existing laws. 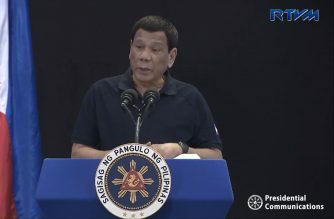 “The 2019 General Appropriations law is a reflection of our vision for the Philippines and for the Filipino people ” Duterte had said. 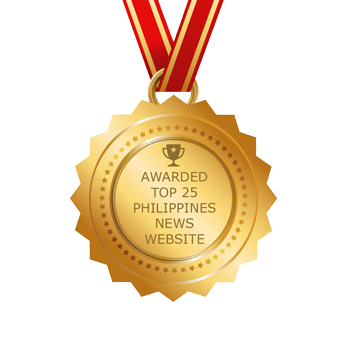 “…We have shown our people that when action is paired with strong political will, we can truly deliver on our promises,” Duterte added.